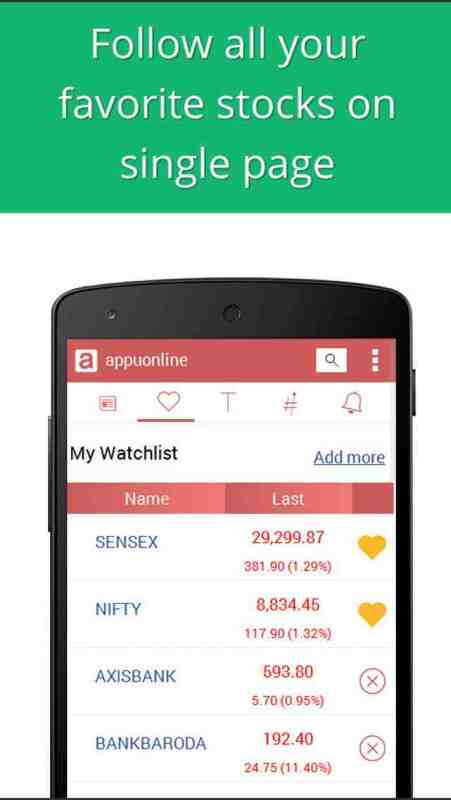 Appuonline live share market tracking app is a free way to track your favorite stocks in one screen. It allows tracking of stocks from BSE & NSE stock market exchange. 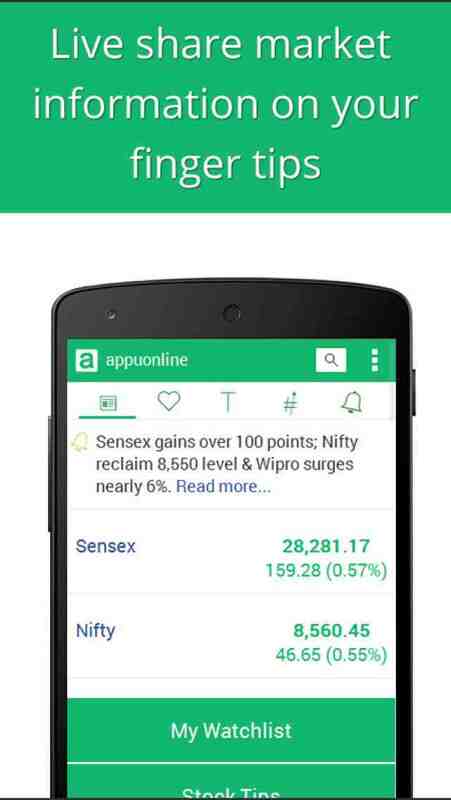 You may search for latest prices of these stocks, get personalized updates and guage overall market sentiment. You may also track global stock exchange movements. - Check Indian stock exchange live, BSE India NSE India intraday quotes, most active securities/stocks, SENSEX NIFTY live top gainer & top loser. - Search information for BSE / NSE listed companies. - My Watch list - BSE NSE stock watch in one screen. 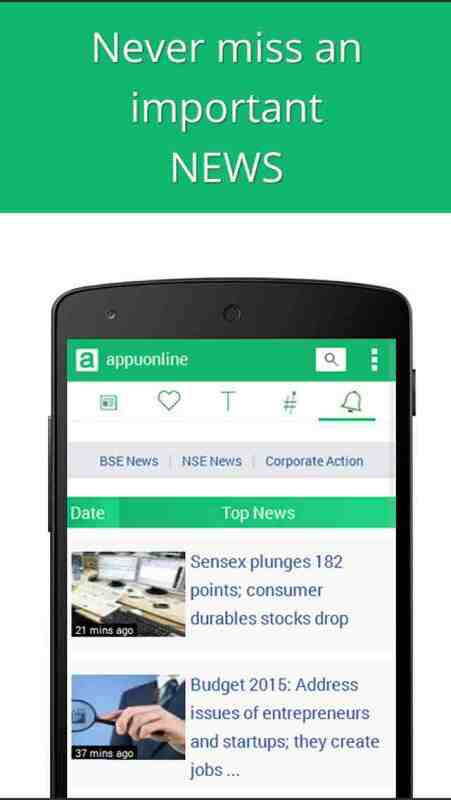 - Track BSE NSE stock live and get details on your shares faster. - Tailor made daily Indian stock market tips by experts. - Real time share quotes for share market India. - Manage finance effectively with trending stock market India trading news, NSE BSE announcements & news related to corporate actions. - Track live global market index information. 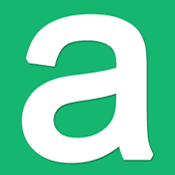 - Free currency converter & latest world currency price. - View all necessary information on shares (open, close, high, low, current price, percentage rise or fall, volume, 52 weeks price range etc.). We are making this BSE NSE mobile app for you. Your feedback will help us improve its features, so you may track the markets the way you like. I am co-founder of clickindia. 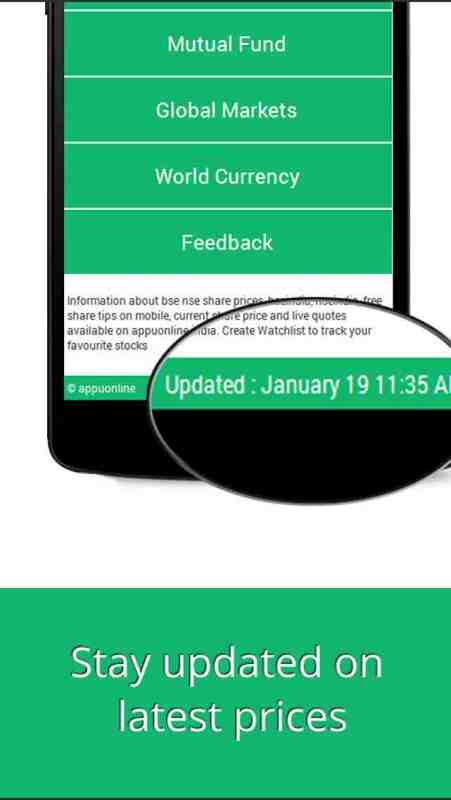 I have been working on various mobile app platforms & have recently developed an app for tracking your favorite stocks.